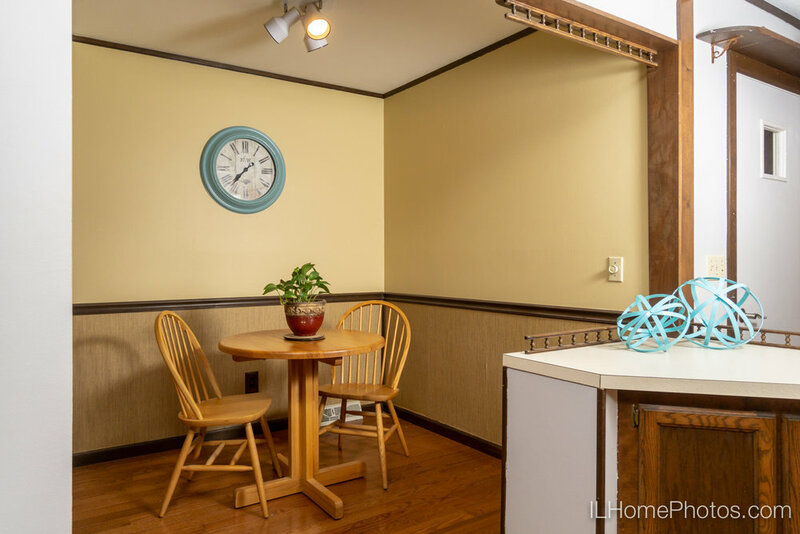 Want a home that's move-in ready, low maintenance, and close to Springfield amenities. This is it. This one-floor ranch style home has three bedrooms and two baths—one featuring a Jacuzzi tub. Brick exterior and a nice deck in the back. New furnace/AC, new windows, and remodeled master bathroom, all 2016 or newer. A sweet four season room leads out to the deck. Low-traffic neighborhood has walking paths, a pond, and playground with tennis court, swingset/play area, basketball court, and large open field. Tracy Shaw has the listing. More details on Zillow: 617 Flaggland Drive, Sherman, IL 62684. Posted on July 14, 2018 by Michael Gowin and filed under Photographs and tagged pfre photography residential real estate. 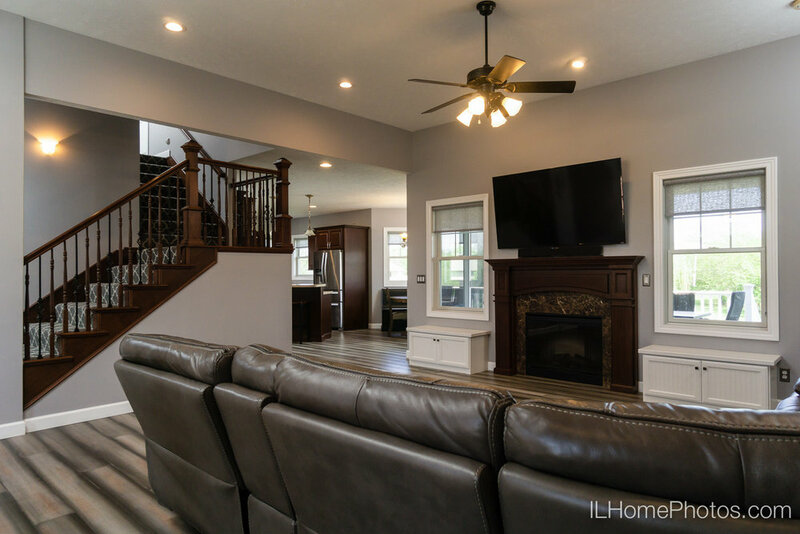 Yet another gorgeous home near Springfield, Illinois, this Quail Ridge subdivision (Sherman) house has everything: nearly 5,000 square feet, 6 bedrooms, 3.5 baths, open living room/kitchen/dining area, office space and large family room in the lower level. Fantastic back yard and lots of nearby amenities, all on a low-traffic cul-de-sac street. You'll find more details on this FSBO home at Zillow: 940 Gooseneck Trail, Sherman, IL, 62684. Posted on June 12, 2018 by Michael Gowin and filed under Photographs and tagged residential real estate photography pfre. The Chatham home I recently featured on the site was sold in just six days. The FSBO seller emailed me last week to say that they had six showings the week the listing went live. Six days into their selling process, they accepted an offer. And this, according to one local realtor, in a market where homes over $300k move very slowly. Beautiful real estate photography attracts buyers—that's exactly what happened for this Chatham seller. Posted on May 30, 2018 by Michael Gowin and filed under News and tagged real estate residential photography. UPDATE (5/30/2018): This home went from "listed" to "sold" in just six days. Just south of Springfield, this first-rate 3,700 square foot home in Chatham is ready for you to move in. The inviting, open living room/dining room/kitchen space is perfect for family living as well as entertaining. The first floor also features a large master bedroom/bathroom suite. You'll find four bedrooms upstairs and an expansive family room, exercise room, and play room on the lower level. Lots of possibilities! 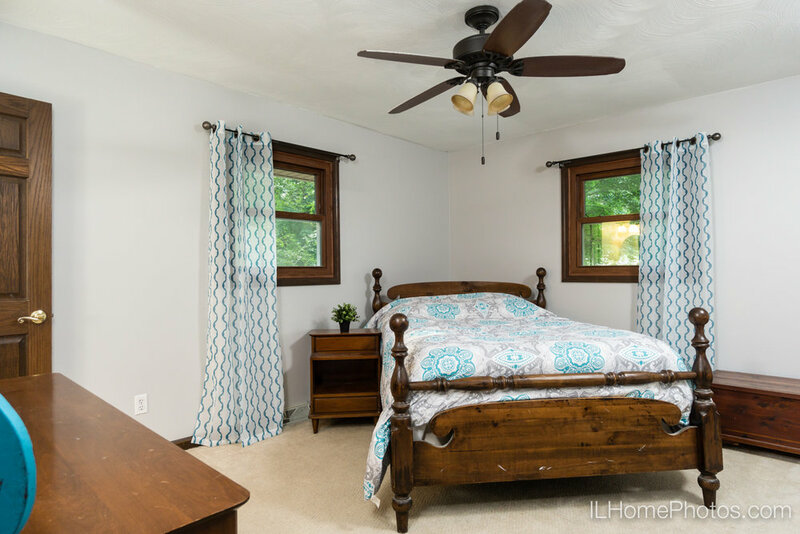 Contact the seller and find more details on Zillow: 701 Grove St, Chatham, IL 62629. Posted on May 15, 2018 by Michael Gowin and filed under Photographs and tagged residential real estate photography. At the end of a cul-de-sac on a high bluff, you'll be able to look across the Illinois River valley from this beautiful home in Chillicothe. Loads of great features in this four bedroom and 3.5 bathroom home: updated kitchen, a spacious downstairs family room, gorgeous four-season sun room, and generous front deck. Just under 2,000 square feet on 1.94 acres. We used the drone to help give a sense for the home and yard. Christine Goodson has the listing. More details on Zillow: 20513 N Deer Bluffs Dr, Chillicothe, IL, 61523. Posted on May 12, 2018 by Michael Gowin and filed under Photographs and tagged photography real estate residential. 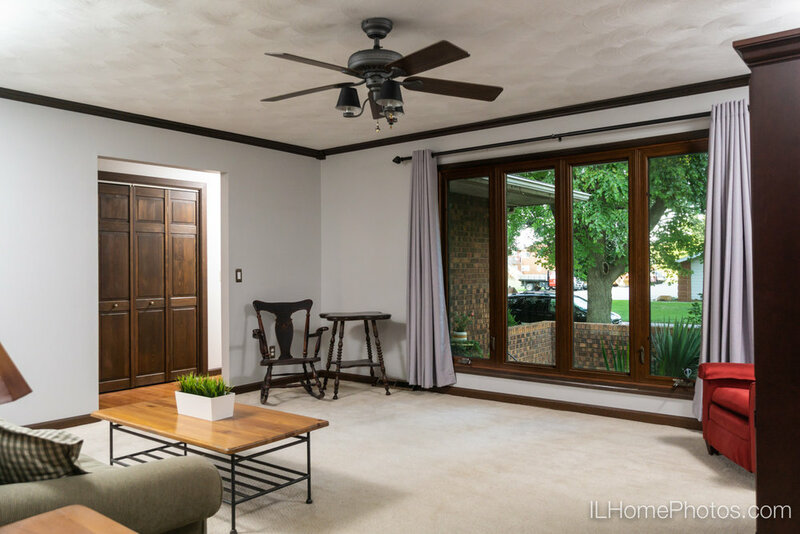 On a shady lot on a short cul-de-sac sits this clean, large four-bedroom home on Peoria's west side, ready for you to move in. Features a beautiful three-season screened-in porch and lots of space throughout. Mary Ann Vance with REMAX Traders Unlimited has the listing. Find more details on Realtor.com: 4321 W Richards Way, Peoria, IL 61615. Posted on September 1, 2017 by Michael Gowin and filed under Photographs and tagged pfre real estate residential photography.